There are over 240,000 people in NZ currently diagnosed with diabetes mellitus (mostly type 2), and possibly another 100,000 undiagnosed. 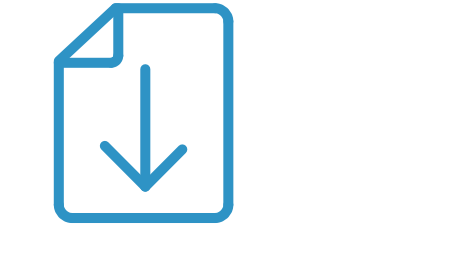 In October 2018, vildagliptin became the first dipeptidyl peptidase-4 (DPP-4) inhibitor funded in NZ. 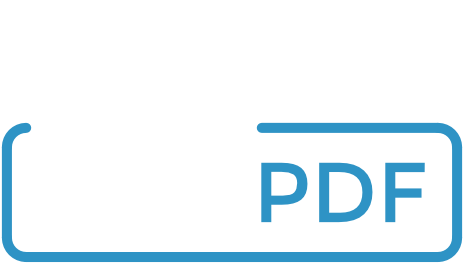 It is one of a number of DPP-4 inhibitors used internationally and expands the second-line treatment options for type 2 diabetes in NZ. Vildagliptin is available in two tablet formulations: alone or combined with metformin. Incretins (notably GLP-1) are peptide hormones released by the gut into the portal circulation in response to food. They signal to the pancreas to increase insulin and reduce glucagon secretion. Incretins are broken down by the enzyme DPP-4, which is inhibited by vildagliptin. This results in higher circulating incretins, leading to lower blood glucose concentrations. Lifestyle changes and metformin are first-line for the treatment of type 2 diabetes. Vildagliptin may be used second-line or third-line in combination with metformin, pioglitazone, sulfonylurea and/or insulin. Vildagliptin is slightly less effective at lowering glucose than other commonly used oral antidiabetic medicines. The choice of second-line treatment is based on each individual’s potential for beneficial and adverse effects. 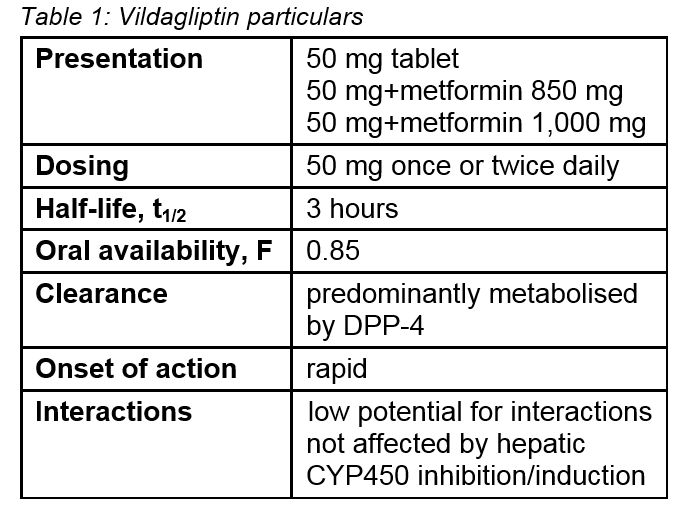 Vildagliptin may be used first-line if metformin is unsuitable (see Fig. 1). Patients at risk from hypoglycaemia (e.g. experience hypoglycaemic events or have high-risk occupations, such as commercial drivers) as DPP-4 inhibitors do not cause hypoglycaemia. Increased risk of hypoglycaemia when used with sulfonylureas. Vildagliptin is generally well tolerated and is not associated with weight gain. Adverse effects may include dizziness, arthralgia, pancreatitis and hypersensitivity reactions. There were early concerns about hepatotoxicity, however, this has been excluded. LFT monitoring is not required. Consider calling the Diabetes Centre for advice on complex patients.